All lanes are open on southbound Interstate Highway 880 just south of Seventh Street in Oakland after a multi-vehicle collision earlier Thursday, according to California Highway Patrol officials. Shortly after 4 a.m., the collision was cleared, all lanes reopened to traffic and CHP officials canceled a Sig-alert. 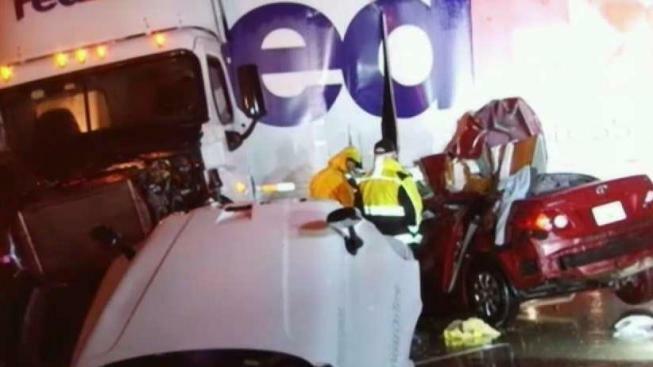 The collision was reported at 1:41 a.m. and involved four vehicles, including a big-rig that jackknifed and blocked all southbound lanes, CHP officials said.